Social customer service has changed completely in the last 12 months! Up until recently many company’s attitudes to social customer service was to make sure no digital grenades register a direct hit on their brand (i.e. go viral and/or get press coverage - the recent United Airlines debacle is a good example). So the motivation for directing resources to Twitter and Facebook etc. was often fear as much as opportunity. Customer service professionals tolerated the clunky experience offered by Twitter (follow us so we can DM you etc.) because they had to. That all changed when Facebook opened the Messenger API on the 12th of April 2016. These approaches and positions differ to the parent company’s early strategy with Facebook, which was completely focused on user adoption (obviously not a bad thing). Facebook only added in business features as an afterthought and, as a result, they never really got the B2C communication part of it right. They are being very deliberate about not taking the same road again and for all the negative press stripping messaging out of Facebook garnered; it has proven to be a very wise step. Twitter has taken a lot of flack for slow product development but their reaction to Facebook putting two size 14 trainers on their turf has been fairly swift. Twitter may not have taken the nuclear option of creating a complimentary messaging app, but they have doubled down on direct messaging within the primary app. Suddenly it seems Jack Dorsey has decided that customer service is one of Twitter's core use cases and it should put up a fight to retain its place as the leading social customer service channel. Not a moment too soon! These improvements have enhanced both the user and business experience on Twitter in a customer service context. Although there will always be a cohort of users who prefer to air their grievances in public, the average consumer surely feels more comfortable complaining in private. Catering for both makes sense for Twitter and business owners should follow their lead. Tip: Be sure to look for solutions that handle both public and private messaging when investing in social customer care software (as CEO of ServiceDock I am a little biased on that). WhatsApp’s imminent move into B2C messaging is going to intensify platform competition dramatically, particularly outside the USA. While Jan Koum and co have been extremely quiet about when the WhatsApp API will become available, the rumour mill suggests testing is well underway. I will be very disappointed if there is not some big developments by the end of 2017. Anecdotally it is obvious that businesses are very keen on using WhatsApp as a support channel and many smaller businesses already are. I have had conversations with accountants and tradesmen who are handling lots of customer contact over WhatsApp. The challenge is how to handle those messages within a team. Larger organisations are keen to join the party because WhatsApp does not have any of the social baggage that Facebook Messenger or Twitter have. It is also very simple to use. Its similarity to SMS is one of the primary reasons it has been adopted so widely across the generations. Assuming WhatsApp execute well, it is hard to find a reason why WhatsApp will not become a significant player in social customer service. So why is Social Customer Service now for every Business? The impact the developments outlined above are likely to have is enormous. Social networks definitely connected people, but they didn’t really bring them closer together. Actual person to person communication on social networks never got to a level where it threatened to displace SMS or voice calls. Not so with messaging apps. 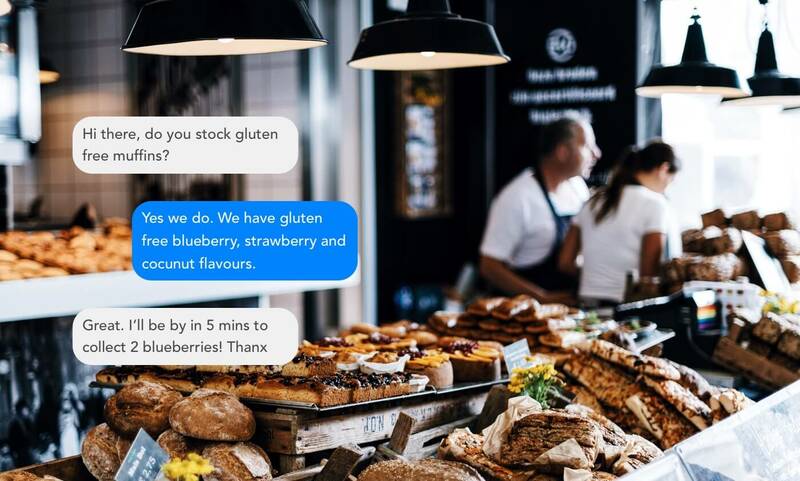 Billions of people use messaging to communicate with their nearest and dearest every day and messaging is the dominant means of communication among millennials and generation Z. It is only a matter of time before that translates into business to consumer communication. This means even the smallest of businesses will have the volume of contact to justify investing resources into managing social and messaging channels. There are only so many people who feel comfortable shouting from the rooftops that are Twitter (tweets) and Facebook (posts). But everyone wants to get their question about their electricity bill answered as painlessly and quickly as possible. Messaging is rapidly becoming that channel. Messaging channels actually create efficiencies for businesses when compared to voice or the traditional social channels. This means the obstacles to adoption are really only the mindset of the company’s management. Those who move fastest will gain the most in terms of attracting younger consumers to use their services or products. It is not often something comes along that saves businesses a fortune and makes the average person much more likely to consume. Ford’s assembly lines? Plastic? The internet? Lofty company indeed, but social customer service and particularly B2C messaging can certainly be that sort of game changer.